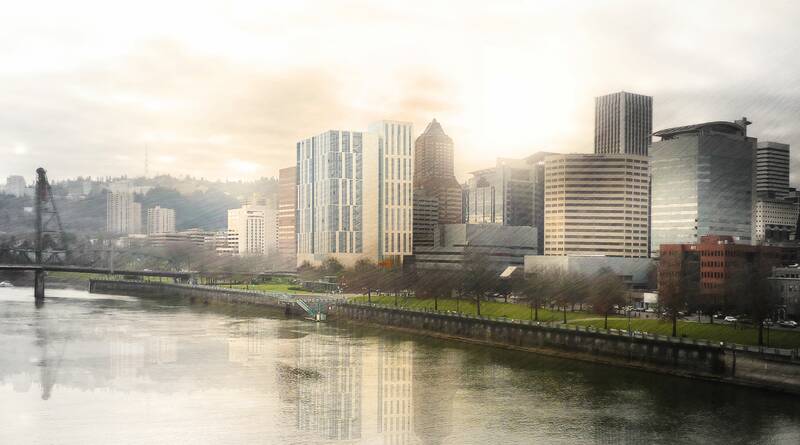 A 17 story tower at the Burnside Bridgehead has gone before the Design Commission to receive Design Advice. 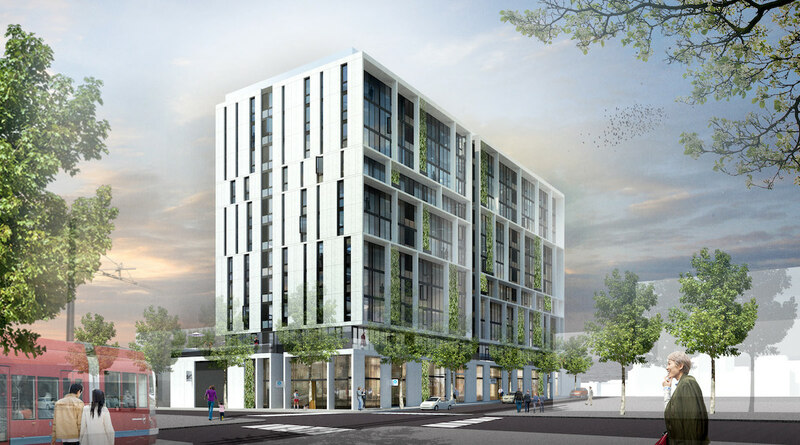 The design of 5 MLK is by Chicago based GREC Architects, for Portland based developer Gerding Edlen. The 200′ tall building is arranged as a five story podium, which would contain approximately 100,000 sq ft of office space, 10,000 sq ft of retail space, 160 vehicular parking spaces and a 4,760 sq ft “bike lounge”. Sitting above the podium is a twelve story “T” shaped tower, which would contain approximately 220 residential units. A shared lobby, serving both the residential and office uses, would be located at the corner of E Burnside and SE MLK. A cascading series of landscaped terraces would be located on top of the podium, with landscape design by PLACE. This is an updated version of an article originally published on August 7th 2015. 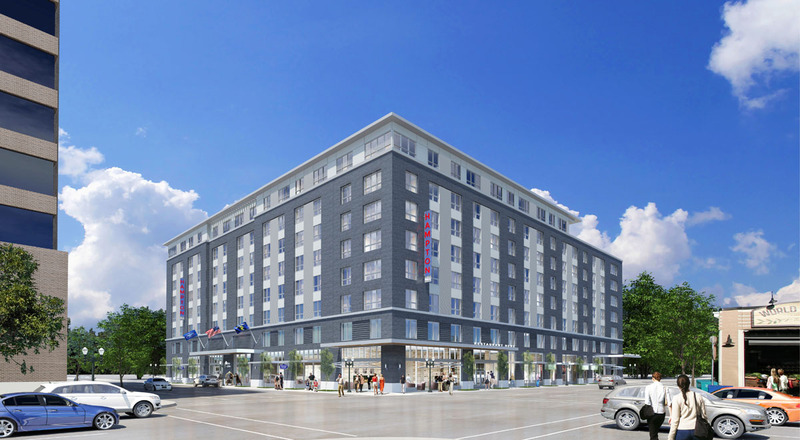 Construction is underway on a 243 room Hampton Inn & Suites in the Pearl District. At the ground level the building will have public spaces such as the lobby, lounge, dining area and meeting rooms facing onto NW 9th Ave. Restaurant and retail spaces will face onto NW Everett St and onto NW Park Ave. 104 on-site parking stalls will be located in above grade structured parking, accessed from NW Flanders St. The developer of the project is Wisconsin based Raymond Management Company. Gary Brink & Associates, also of Wisconsin, are the architects of record, while local firm Hannebery Eddy are serving as the design architects. The landscape architects are Lango Hansen. Proposal for a four story 19 unit apartment building. No parking provided. Existing building to be removed. New 4-story commercial building. Adjustment requested for on-site loading. Replace current Multnomah County Courthouse with new Multnomah County Central Courthouse (MCCCH). REV 05 – Revision to DFS 07 Window wall system to include addition of 20 vision glass modules to the South Elevation and 47 vision glass modules to the West Elevation. 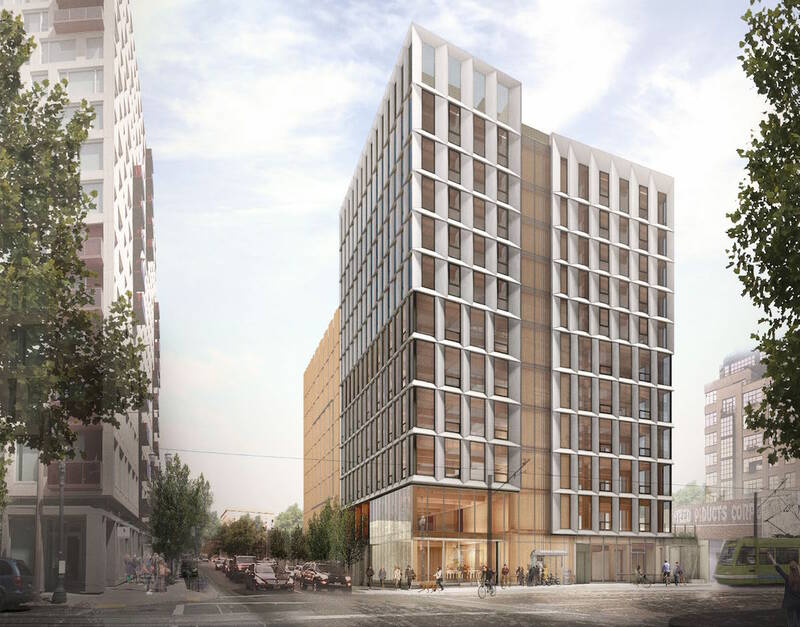 The Design Commission has reviewed Framework, a Cross Laminated Timber building that is likely to become the tallest mass timber building in the USA. The 11 story, 142′-2″ tall building by Lever Architecture will include 31,260 sq ft of office space on levels 2 to 6, and 60 apartments on levels 7-11. The apartment units, operated by Home Forward, will all be reserved for those earning less than 60% of area median family income. The developer for the building is Project^, acting for the owner Beneficial State Bank. 69 bicycle parking spaces will be provided on the ground floor of the building, and 40 in the studio apartments above. No vehicular parking spaces are proposed. 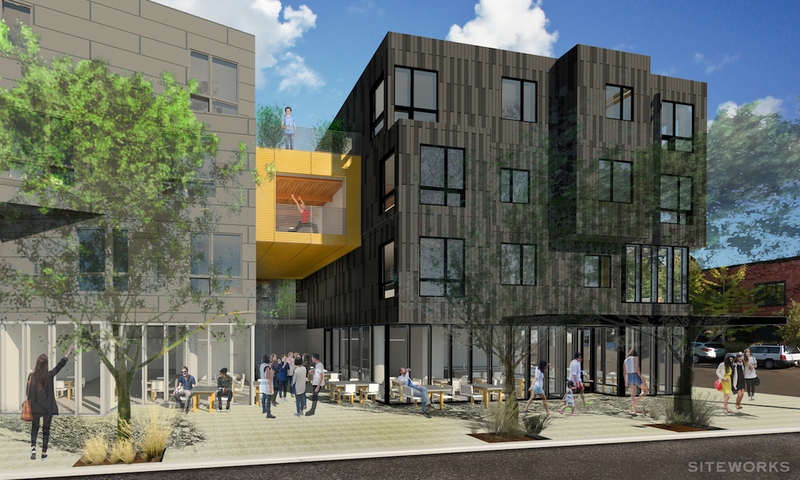 The Portland Business Journal wrote about the 64 apartments coming to a “long-dormant corner of Southeast Portland”. The Lennox Apartments at 4455 SE 52nd Ave will also include 3,500 sq ft of ground floor retail space, which will be outfitted for a restaurant. With the Design Overlay Zone Assessment Project (DOZA) getting underway, the DJC wrote about how “development has overloaded the system“*. Places Over Time wrote about the dialog between two buildings that are about to go up on the same block in the Pearl: Framework and the Canopy Hotel. Portland Architecture covered a talk given by Lever Architecture’s Thomas Robinson about Framework. The 12 story will be constructed of Cross Laminated Timber, which it make it the tallest mass timber building in the USA. Oregon Business reported that winners of a recent Cross Laminated Timber contest included Framework and Carbon12. According to The Oregonian, Natural Grocers won’t open at NE Alberta & MLK until February 2018—almost a full year later than expected. 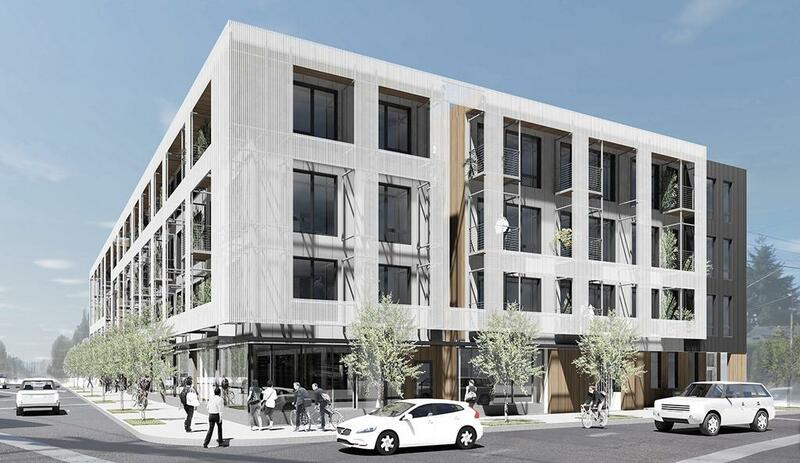 The Portland Business Journal had a closer look at the next 689 apartments coming to the Lloyd District. 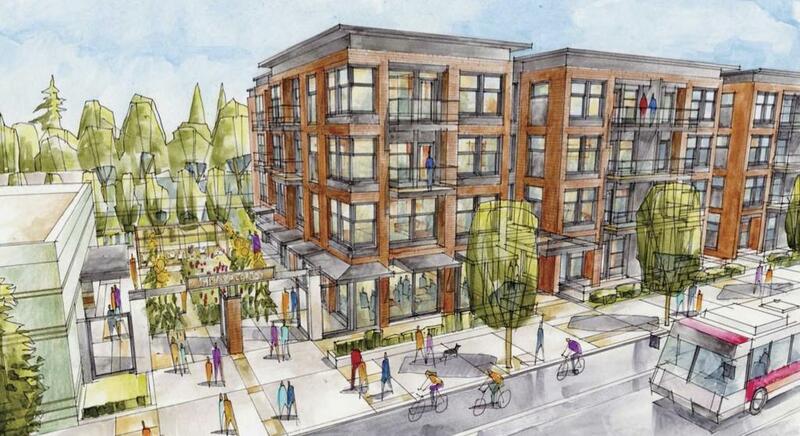 The development at 1400 NE Multnomah recently had its first full Design Review hearing. The New York Times wrote about the Fair Haired Dumbbell, a project that “keeps it funky, with design and funding“. The Boys & Girls Club in Westmoreland has been sold, according to the Portland Business Journal. The building at 7119 SE Milwaukie Ave will be replaced with a new mixed use development. 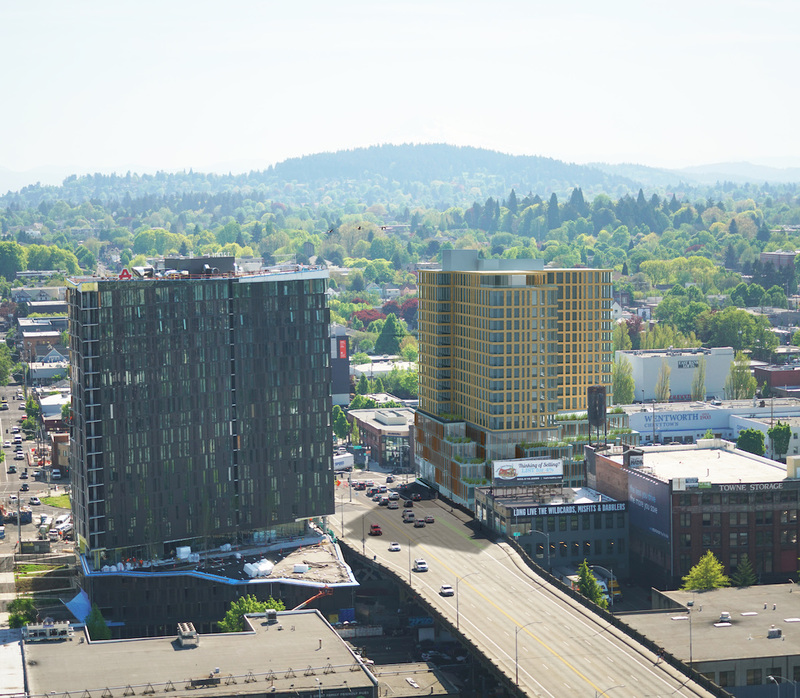 Plans are moving forward for an office and hotel development in downtown, according to the Portland Business Journal. 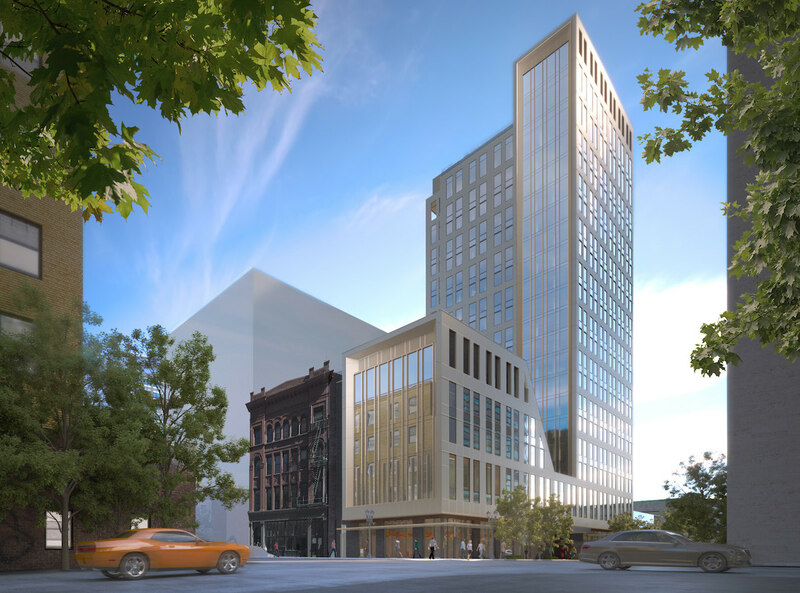 The projects at 3rd and Taylor and 3rd and Salmon respectively will bring 175,000 sq ft of office space and 20 story hotel to Downtown Portland. Demolition permits have now been filed for the Ancient Order of United Workmen Temple and the Hotel Albion. Construction was recently completed at the Cosmopolitan on the Park. 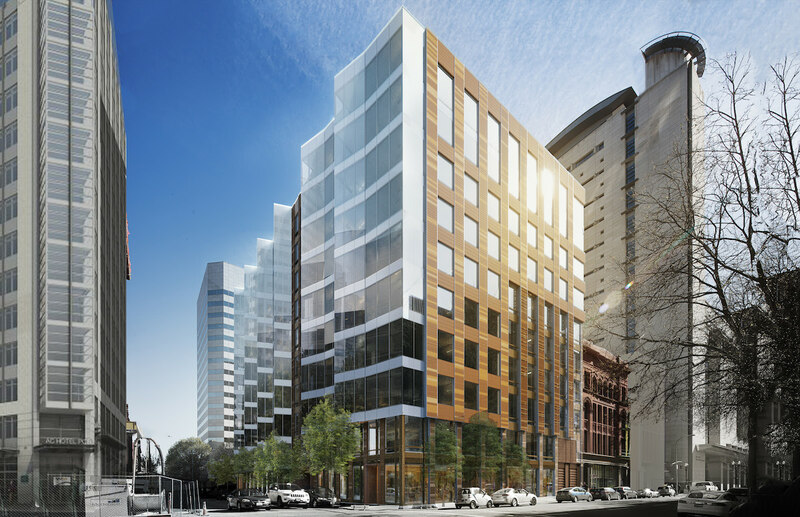 Bisnow reports that the Pearl district high rise was 96% sold prior to completion.